Need an experienced WordPress design agency? We offer a wide range of WordPress support services for your website. Whether you need a small change, or a complete refresh, we can help you. 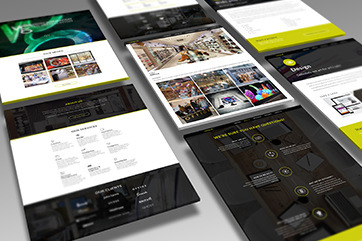 Primary Image has been developing WordPress websites for over seven years. 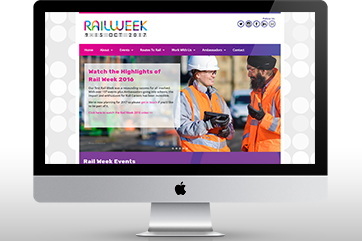 During that time, we’ve supported hundreds of websites, including for large companies such as Network Rail and National Express. We only concentrate on WordPress. We don’t get distracted by working on any other types of website. WordPress is the world’s most popular website software, running 1 in 4 websites on the internet. No other platform even comes close! WordPress is very modular, meaning you can add new features to it, without needing to redesign your whole website. It’s also well maintained, so software updates and security patches are released regularly for you to install. But sometimes you need an expert to help with the technical aspects, say fixing a problem, setting up a new plugin, or a complete refresh of your web design. That’s where we can help you. We’re sure you don’t need convincing why to use WordPress, but if you do have any questions, please get in touch with us! We’ve worked with some of the largest organisations in the UK, who trust our WordPress expertise when it comes to designing and supporting their websites. 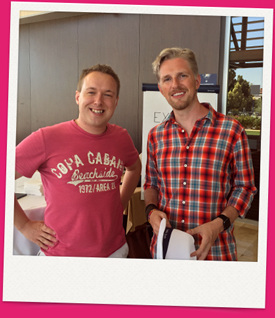 We regularly attend WordPress conferences in the UK and abroad. We’ve even delivered specialist talks to hundreds of other web designers at these conferences, proving our expert knowledge. Unlike many other web designers who simply use WordPress, we get far more involved. For example, we test new versions of WordPress before they’re released to the public, and we attend professional WordPress events at least once a month. We keep our skills razor sharp. Mike, from Primary Image, presenting at WordCamp London, the UK’s largest WordPress conference. Not all WordPress websites are the same! Many WordPress web designers give very little care over how easy it’ll be to edit in the future. When WordPress is done properly, it should be easy for you to edit pages or add new pages. That’s why we make our own improvements to WordPress to make it more user-friendly, for instance we can include a special page builder. Primary Image sponsors and co-organises WordPress Essex, which is a regular event in Chelmsford. Need a WordPress web designer? 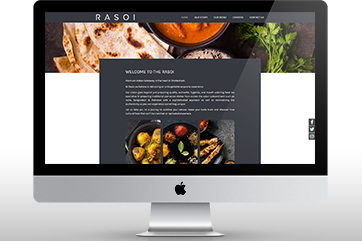 We’re based in London and Essex, but our WordPress web designs can be seen all across the UK, as well as in Europe, America, the Middle East and China! We’ve quite literally supported hundreds of WordPress websites. 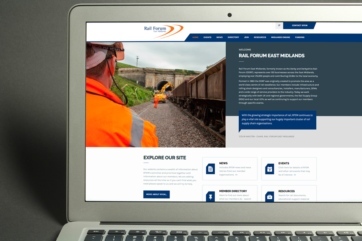 See our design portfolio for a very small sample of our work. Whether you want to use a pre-built WordPress theme, or you prefer the freedom of having a completely bespoke website, we can help you! We work only with WordPress. Does your current website need a refresh? Whether it’s a minor makeover, or a complete revamp, we can improve any existing WordPress site. If you’ve got some thoughts yourself, or want to hear our ideas, why not get in touch with our experts? Primary Image offers fully-managed UK-based WordPress hosting. We take care of all the technical running of your website, including keeping your WordPress software up-to-date, so you can concentrate on running your business. See our WordPress Hosting page for full details. Slow websites lose visitors and are bad for SEO. This is one of our key specialisms and we’ve even delivered talks at WordPress conferences on how to make your website load faster! Contact us and we’ll make your website quicker! Got an existing theme, but need some tweaks and changes? We can work on any WordPress theme. We have lots of experience working with Avada, Visual Composer, as well as many other themes and page builders. WordPress is very secure, but like your computer, it’s vital you install regular security patches and keep your website well maintained. We can help keep your WordPress software up-to-date. Let us security harden your WordPress website, using our own bespoke process that we’ve developed from our many years of experience. This helps keep your WordPress website safer from attacks. We’ve even given talks at national conferences on WordPress security! There’s lots of reasons why you should run your WordPress website on HTTPS, but it does involve some technical expertise to be done properly. Read about our HTTPS conversion service. We offer solo and group training, so you can get the most out of your WordPress website. The format is bespoke to your requirements, whether it’s an informal Q&A session on your computer, classroom courses, or even remote shared screen sessions. We’re based in London and Essex, but can travel further if needed. You’ve got a great-looking website, but is anyone visiting it? Would you benefit if your business was listed higher up in search engine results? We offer a unique approach to SEO and we only work with WordPress. See our WordPress SEO services for full info. Does your website work poorly on mobile devices? 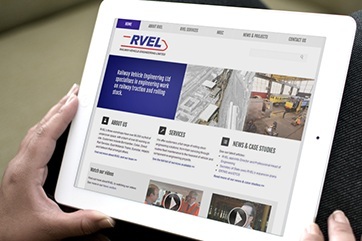 We’ve got lots of experience in creating mobile-friendly responsive websites. 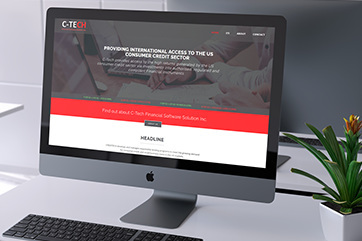 We’ve helped many businesses who have had their websites attacked and defaced. Often their web designers didn’t give them proper after-care, meaning their websites have been left vulnerable and haven’t had proper security precautions. Contact us if you need urgent help with your site. Need to add new pages and sections to your WordPress website? We can help! Got some issues with your WordPress site? We can help fix problems, so your website runs smoothly again. Please contact us and describe (in as much detail as possible!) the problems you’re having. Do you need to move your WordPress website to a new web host? If so, we can help. The process is very quick and we’ve moved hundreds of websites! Primary Image have been incredibly helpful and creative in establishing my new website. 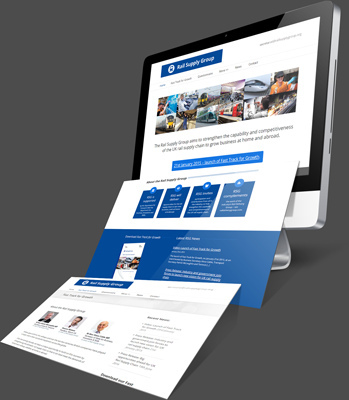 They understood the precise requirements and translated them into exactly the sort of site that was needed. The flexibility, expertise and customer focus has been first class. Exceptional value for money.